Thanks to Doug Leavitt for sending us an updated picture from July 2018 of one of his giant sequoia trees. Doug lives in Cleveland, Ohio. He planted 10 trees in 2015 and 9 have survived. They are planted on a hillside surrounding a small lake. His two adorable grandsons are also in the picture. Doug Leavitt had planted this and many of our nursery sequoias in November 2015. He has his grandson standing front of one of them as of August 2017. He was replanting the yard after cleanup following a devastating tornado years ago. 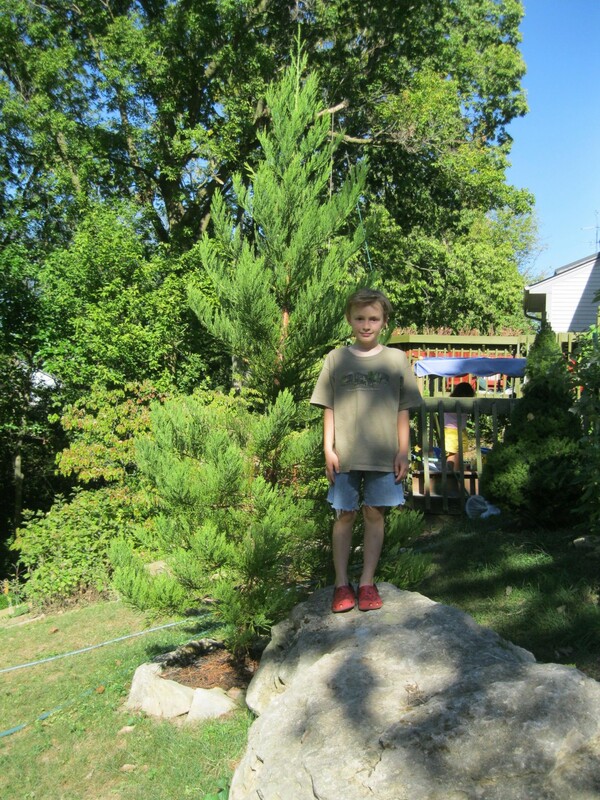 Kris Stanek purchased a few giant sequoia trees from our nursery in April 2008. This image was taken September 2010 showing this tree has quadrupled in size. It was 30 in. tall when planted and now measured 10 feet in height. One can see the growth with his young son standing nearby. 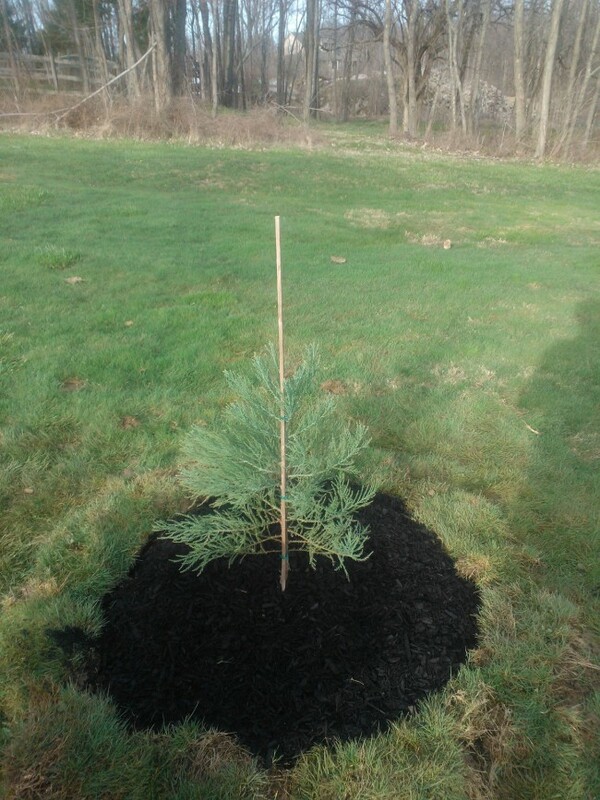 Thank you Kris for the update of your healthy tree growing in Columbus. Summer of 2010 update with the tree of Dan Rebman of Mainesville. 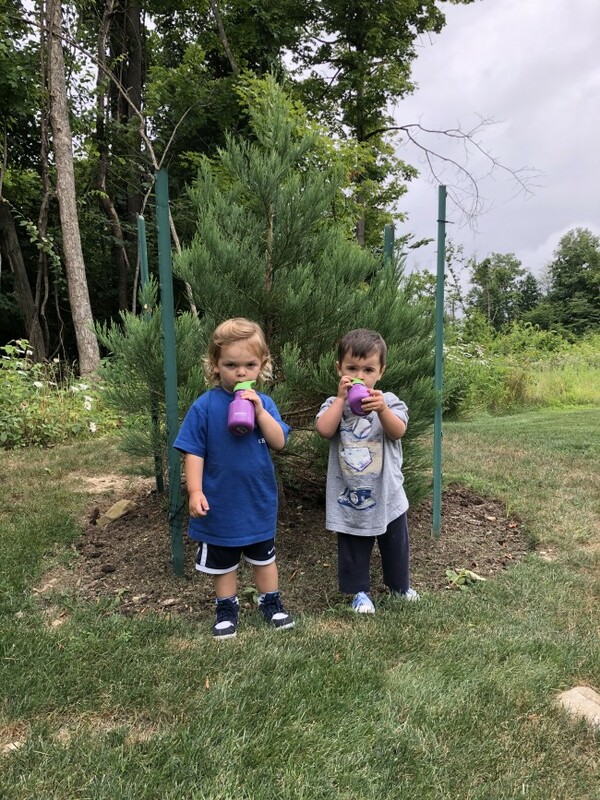 The Rebman children are growing up with their giant sequoia tree. 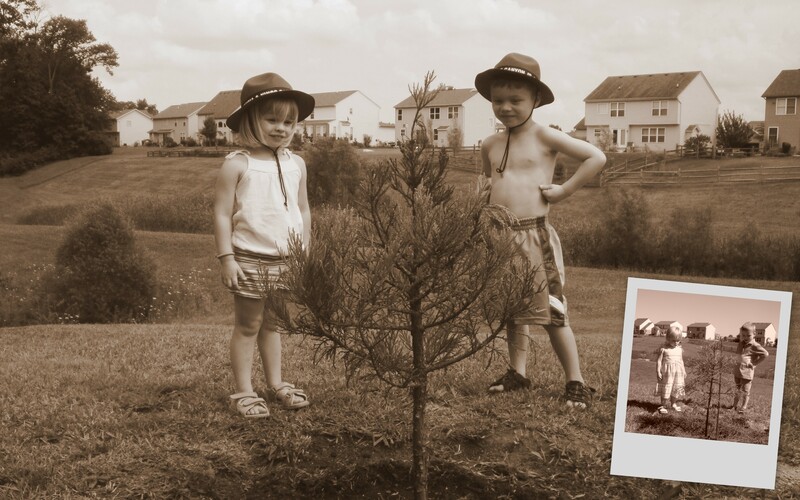 Dan Rebman of Maineville planted his giant sequoia with his young children and will watch both grown up together. This is the family in 2009. 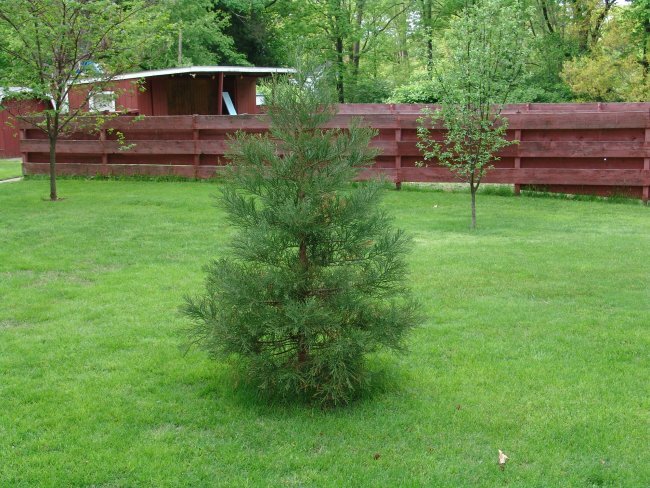 Cincinnati Tree - This 6 year old tree is owned by Bob Draise in Cincinnati Ohio. This picture is from May 1, 2006. 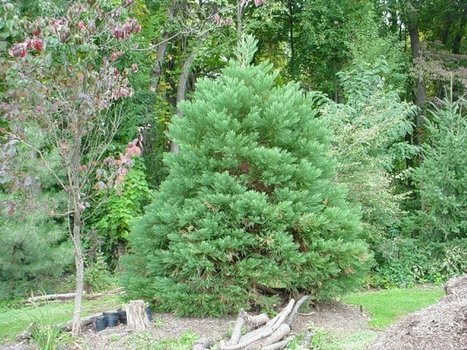 North Royalton Tree - Growing in North Royalton, Ohio in the northeast part of the state.